Meet Suzie! She’s one of the first in my series of Pocket Doll Patterns by DelilahIris Designs. These dolls are super easy to make! 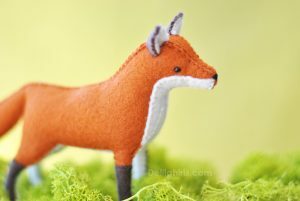 They are made up completely from wool felt and are meant to be hand sewn. The finished dolls are incredibly cute and perfect for any dollhouse. My pattern comes complete with instructions for making a pose-able 4 inch doll that will fit in your pocket. The pose-able limbs makes them perfect for posing in any dollhouse! Make Your Own Dollhouse Dolls! The Suzie doll pattern is delivered to you digitally by email or download in the form of a printable PDF File. The pattern can be printed onto standard 8.5″ by 11″ paper and includes instructions to create your own pocket doll. This is a computer drafted pattern. Do make note that this doll is a miniature so the pattern pieces are small. You can, however, feel free to enlarge the pattern to make a larger doll. Suzie is the girl next door. She likes animals and her garden. She loves her friends but she’s quiet and a bit shy. One of her favorite things to do is snuggle up with a good book with a hot cuppa tea. Suzie would adore to accompany you (in your pocket of course) to the library or book store. She may even appreciate it if you made her a tiny pair of wire reading glasses.